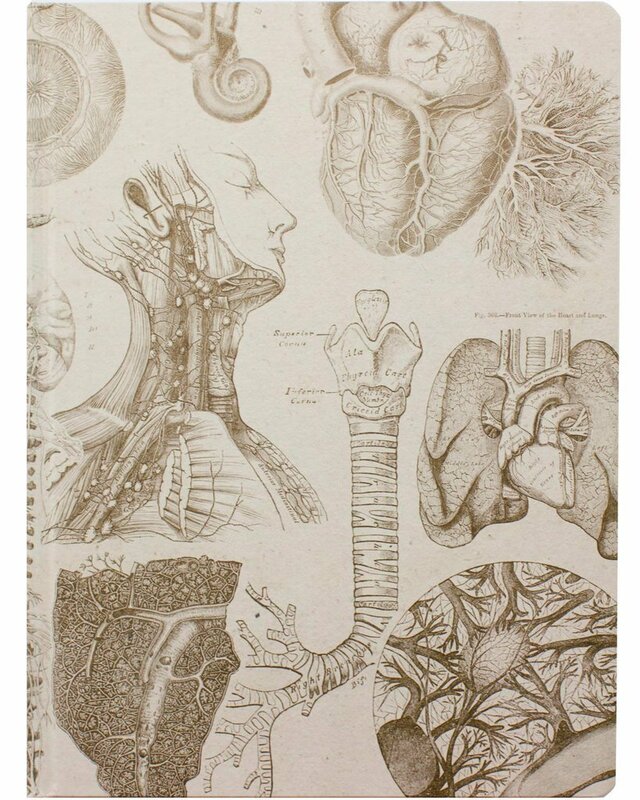 The Anatomy XL Journal features vintage medical drawings rendered in sepia on a light brown field. These are classic illustrations showing the complexity of our systems – muscular, skeletal, cardiovascular, digestive, lymphatic – all the ways our body has to keep things moving and keep us in action. Designed with art quality blank pages to draw or write with nothing in your way. Solve complex math problems, map out reaction mechanisms, or fill this huge book with sketches of the human form. Our Vintage Notebook line features classic illustrations from early scientific works. The perfect gift for your lab partner. The perfect necessity for your work.